Recently two of the children of Fatima were canonized by Pope Francis, and since I’d never known their story I dug in a bit. I found it unexpectedly generative, a word I once heard used in a writing workshop, and which has remained so useful to me. Finding a pocket of generativity (a word? it is now) is a gift. 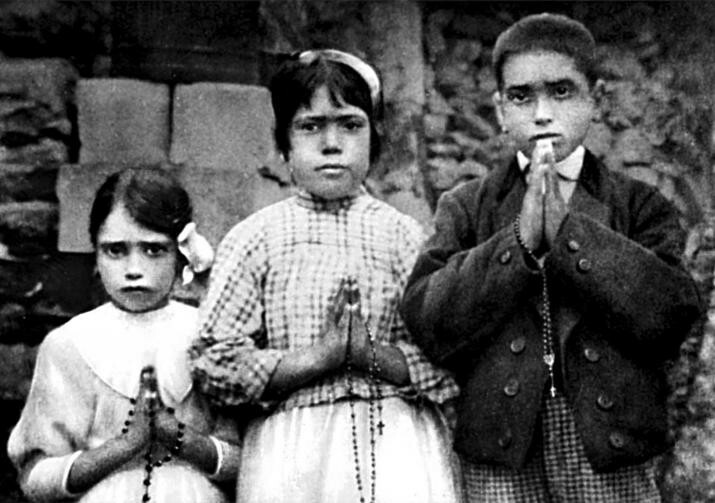 Very briefly: in 1917, three shepherd children in Fatima, Portugal, aged 11, nine and seven, experienced multiple apparitions of Mary. During one, they were given “three secrets” about world events yet to come. Two of the children died shortly thereafter in the influenza epidemic; the third lived to the age of 97, and is expected to be canonized herself soon. I’m not Catholic, nor a venerator of saints or of Mary. I don’t know how to explain the children’s (and the bystanders’) visions, or to vouch for their veracity or lack thereof. What’s generative to me here are the layers of hope and bravery and poverty and powerlessness, of personality and doggedness and culture and openness; and the similarities and differences between, and intersections of, faith and truth. What does that have to do with politics? Nothing and everything. and told your story, they laughed. You told it again and they sighed. You told it again and they screamed. You told it again — out came the rod. and carried you off one by one. I’m writing 100 days of resistance. Posts begin here. 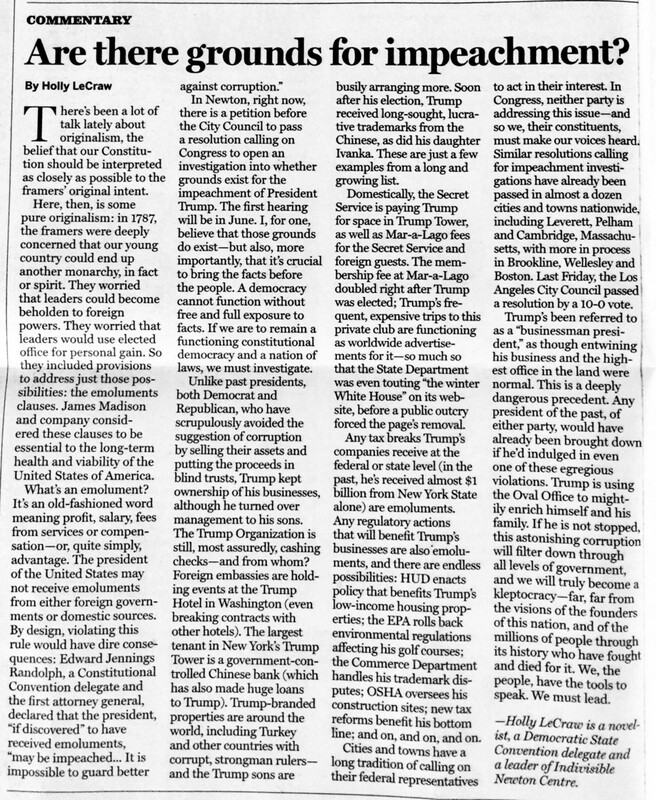 In a bit of serendipity — or whatever we’re calling it nowadays — an editorial about impeachment I’d composed several days ago ran in our town paper today. The text is below. Any citizen, including you, can start the resolution process in your city or town: here is a guide. Today, www.impeachdonaldtrump.org added obstruction of justice to its resolution text. Read about it here, then please sign the petition (currently at over 900K signatures. We’d like to get a million). Today is my birthday. I’m fifty-one years old. That’s the kind of age that sounds really, really old when you’re young.